*The link provided below is for reference only and is not an affiliate link. As stated in two previous posts (here and here), the boys want to share their reviews of the books that stayed on their bedside table over this past year. 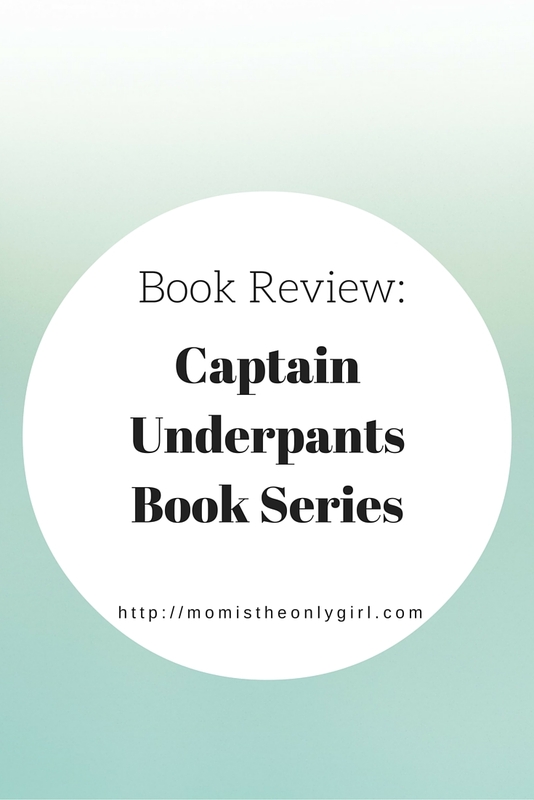 This first review is by Cutie Pie, a nine year old reading enthusiast, of one of his favorite book series, Captain Underpants. The principle was hypnotized, and now when anyone snaps their fingers he turns into Captain Underpants. Captain Underpants has saved the town from things like toilets that came alive during an accident at a science fair, and a giant pair of robot boxer-shorts. This may sound like a strange book-description, but you should read it! It’s very funny, although your mom and dad might not get all the humor. I actually have read a couple of the books in this series with Cutie Pie. The humor is definitely what will draw a young boy into this, as the whole book is rather silly from an adult’s perspective. Keep that in mind and read it from your child’s perspective and I think you will find it rather silly as well. The Scholastic page for this book series has links to fun games and extras if you’d like to check it out! What book is your child loving at the moment? Love that he is thrilled with reading on his own and that he would participate in this blog!